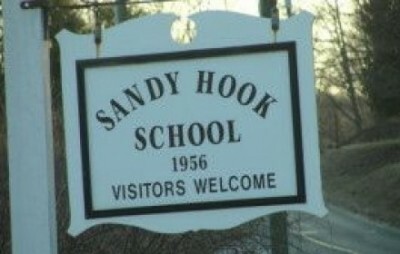 On November 21, 2014 the State of Connecticut’s Office of the Child Advocate issued a 114-page report, Shooting at Sandy Hook Elementary School: Report of the Office of the Child Advocate (PDF), focusing on the ambiguous profile of Sandy Hook Elementary School shooter Adam Lanza that may become the basis for mental health practices throughout the United States. With contributors including psychiatrists and academicians from education and social work departments, the publication comes just two months after the US Department of Health and Human Services and Department of Education announced over $160 million in funding for widescale research and deployment of mental health initiatives in the nation’s public schools. “OCA began a comprehensive collection and review of records related to the life of AL,” the document’s preamble reads, “including his medical, mental health and education records, as well as un-redacted state police and law enforcement records.”(p. 6). Among 37 “key findings,” the statement expresses concern over “siloed systems of education, physical health, and mental health care for children” that “strongly implicate the need to assist parents with understanding and addressing the needs of children with complex developmental and mental health disorders” (p. 9). The following is a summary overview of the OCA report’s key recommendations, many of which will likely be recommended or mandated by federal education and public health authorities for adoption throughout the US. Universal screening for behavioral health and developmental impairments for children ages birth to 21. Access to “quality care coordination” for children and their families. Access to training and information concerning mental health issues for teachers, administrators, service personnel, pediatricians, and parents. Staffing and financial supports for providers. Effective and sustained family engagement work as part of mental health treatment for children. Access to therapeutic services, psycho-education, and peer support for families. Readiness of “systems” to respond when a parent appears unwilling or unable to meet the needs of their child [aka refuses to medicate]. Active participation of schools concerning the mental health and wellness of their students. In reality, the OCA report lays the groundwork for implementation of a nationwide program similar to the one presently being beta tested in Scotland, “Getting it Right for Every Child,” or GIRFEC. The GIRFEC project mandates assignment of a “Named Person for every child and young person, and a Lead Professional (where necessary) to co-ordinate and monitor multi-agency activity” that renders the traditional family to the role of a distant caretaker. Such a project increasingly lays bare the opportunistic use and perhaps true intent of the Sandy Hook massacre event: dramatically intensified bureaucratic and quasi-scientific control over the everyday lives of children alongside the continued erosion of the family itself. James F. Tracy, “Protecting Our Children in the Wake of Sandy Hook: Psychiatric Surveillance of US Public School Children,” GlobalResearch.ca, November 4, 2014. James F. Tracy, “Global Governance and the New World Order Religion,” GlobalResearch.ca, April 14, 2013.